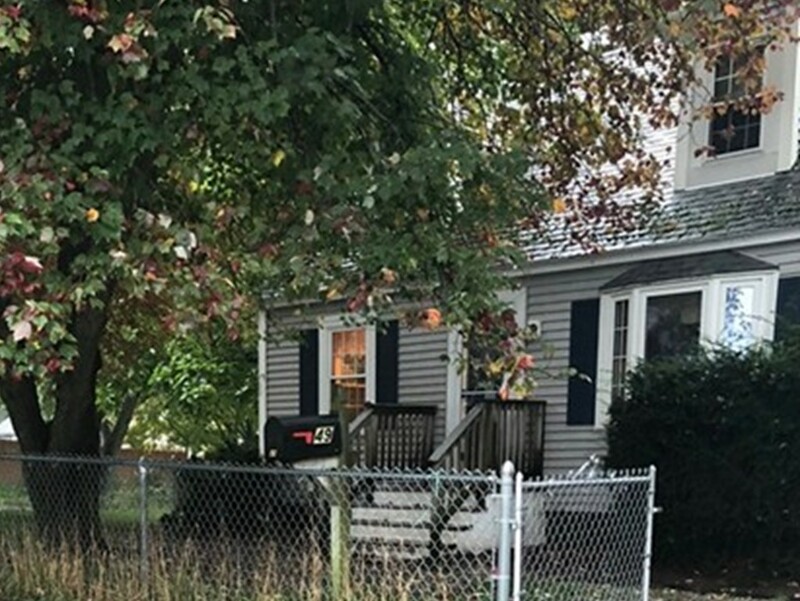 Take advantage of this Great Opportunity to own a 4 Bedroom 2 Bath Cape Style home on a corner lot in the very desirable South Lawrence Mount Vernon Neighborhood. Main level consists of a Living Room, 2 Bedrooms, Kitchen and Dining Room and Full Bath. One of the 1st floor bedrooms is being used as an additional formal dining room because of the flow of the home. The second level consists of 2 Bedrooms and a Full bath. The Basement has high ceilings and is ready to be finished. Large fenced in lot with a back deck for outdoor entertaining and enjoyment. This home has maintenance free vinyl siding with vinyl replacement windows. New Central Heating and Hot Water Heater to be installed prior to closing. This home also offers Central Air Conditioning to keep you cool during hot summer nights. Priced to Sell quickly. OPEN HOUSE 10/14 11:30 AM to 1:30 PM.